My friend told me that when riding a motorcycle it's better to wear shoes that don't have laces. So I've been wearing laceless Doc Martens. The part that touches the shifter has gotten worn down. I went into a motorcycle shop and looked at one of their riding shoes. It said it had some extra padding in the part that touches the shifter and some other reinforcements. Any opinions on this? What kind of riding shoes would you recommend for commuting? It would be nice if I could get a shoe that I wouldn't have to change out of after arriving at work. Last edited by ex-ninja; 11-24-2018 at 3:15 AM. I usually wear regular work shoes or a tactical shoe with the shoelaces tucked inside the shoe. If they have zipper better, so I do not have to untie the shoelaces every time I use them. 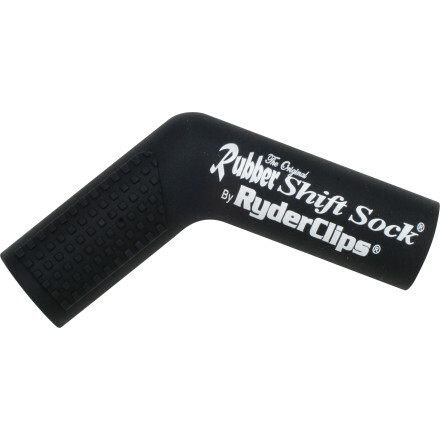 You can get these at CycleGear or just about any motorcycle dealership! Just my own $0.02 worth of opinion. Laces smaces what do people think riders wore 30 or 40 years ago? Lace up boots that's what. Look at old pics of dirt track riders from the late 1960s and early 1970s. You'll see plenty of laced up boots. What you wont see is laces dangling or partially laced up. Dangly bits are dangerous because they can get caught up in all manner of things. Worst case, even pin your booted foot under a sliding bike....or caught up in a chain and pull your booted foot into it. Gorey mess that one makes is the stuff of horror movies. I've worn lace up Doc Martins for years. About 25 of them to be honest. I still wear them at times. Also have a couple of pairs of Alpinestar short touring boots that are lace up. As for lace less options, there are plenty. Engineers boots are slip on and Harley riders have worn them for decades. There are any number of touring boots you could choose as an option. Then there are road race boots which honestly are over the top for most riding situations. But hey, there are those that wouldn't wear anything else. I don't have a bias one way or the other. Every accident is different and what is true for one is not necessarily true for another. We as riders know if something is a poor choice for riding wear. If you have to stop and think about it, it's probably a poor choice. Otherwise, use your head and common sense in your choices. If you favor the Doc Martens you wrote about, you could do what I did and have a second leather layer sewn on to cover the toe and shift area....buuut....you gotta have a good old school cobbler around who can do such things. I agree with the above that as long as lace loops aren't flopping around by the foot, there isn't really a problem. I started with engineer boots, but the safety issue is that slip on boots also slip off. I've done velcro closures ever since. The shifter toe reinforcement is nice, but it takes years for a rubber covered peg to wear through leather, or more often Lorica. You can take a tip from skaters and put a Shoe Goo reinforcement on by yourself. I'm very partial to dedicated motorcycle boots, as they have soles that are not too grippy. That may seem counterintuitive, but if the sole grips too well, that can very well mean broken bone instead of keep rolling or sliding or whatever in a nasty situation. Might I also add...zippered boots, especially if they're zipped on the inside of the ankle, can lead to paint chipping. I noticed on my new Versys after a few weeks that there was wear on the painted case covers. Couldn't figure out for the life of me why a brand spanking new motorcycle would do that...until I finally figured out it was the zipper rubbing against the case. I like zipper as they tend to be more waterproof than laces. I also change shoes when I get to where I am headed, but no one likes soggy socks. I have 5000 miles on a pair of these in all kinds of weather. They zip and velcro on the outside. They are flexible enough to walk around in, but I just keep a different pair of shoes at work and change when I get there. I found these at Walmart and although they are not super durable, for about $40, you can't go wrong. They have a zipper so its easy to get on and off and they stay tight when zipped. 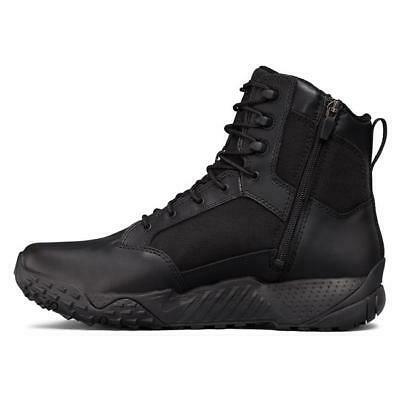 They also have a slightly taller version that is about 2" taller than these, but the shorter ones I think offer a good balance of ankle support and movement compared to the taller ones. We'll see how long these last, as I only wear them while riding, but I am very happy with them so far for a budget shoe! Wearing anything except a full-on riding boot, with armor, is a mistake you may regret the rest of your life. All the small bones in your ankle are very fragile, and even a no-speed/low-speed low-side crash can easily crush them. An ankle is not like a damaged wrist that you can use the other side, you have to use both ankles any time you walk. I have a quick commute, but never leave the house without my A* SVX boots and everything else. You need to be prepared for the worst - every time out.